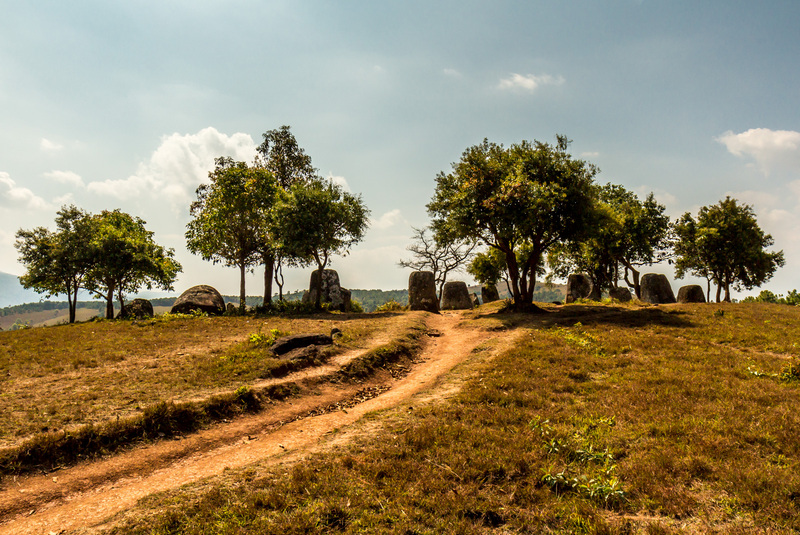 I had always fancifully imagined Laos’ Plain of Jars to be a vast plain with mysterious stone jars stretching into the distance. I didn’t really expect the reality to match the fantasy. There is indeed a vast plain, but it is full of agriculture and industry. 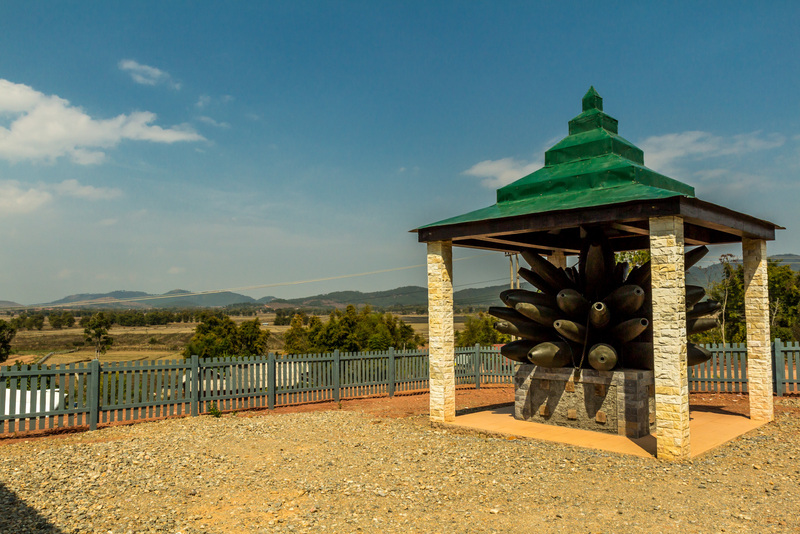 The jars are confined to small clusters in a few dozen sites, three of which are easy to visit. It’s still not known for sure who made the jars, or what they were for. 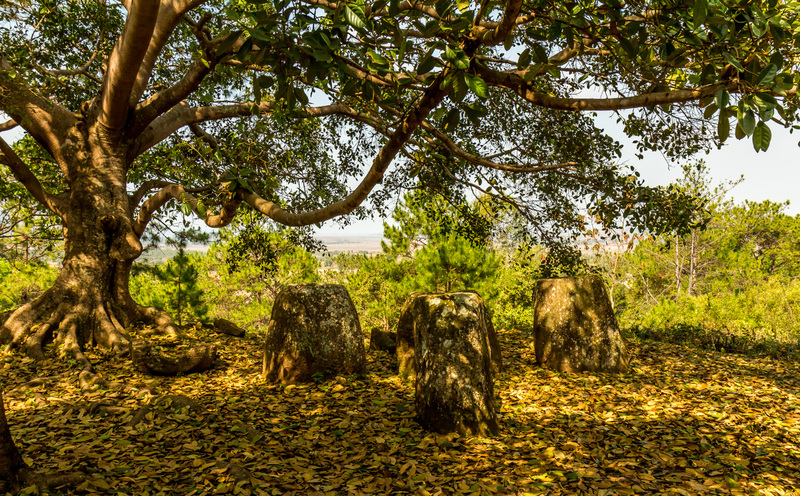 But the prevailing theory is that they were used in burial practices. Bomb crater and jar fragment. 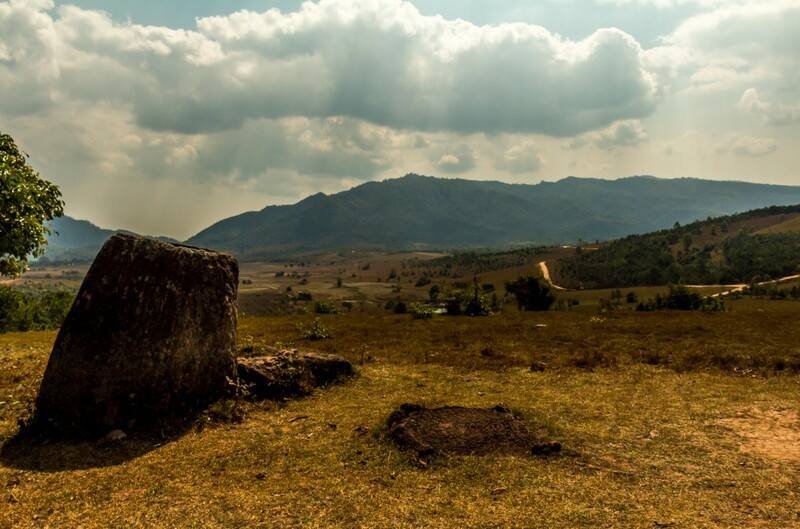 I had wanted to see the Plain of Jars ever since my first visit to Laos ten years ago. Today was finally the big day. Unfortunately, I felt terrible. The noodles last night made me sick, and now I felt nauseous. But I pulled myself together and rode to site 1. It took a long time to get out of Phonsavan. Industrial detritus sprawled in all directions. 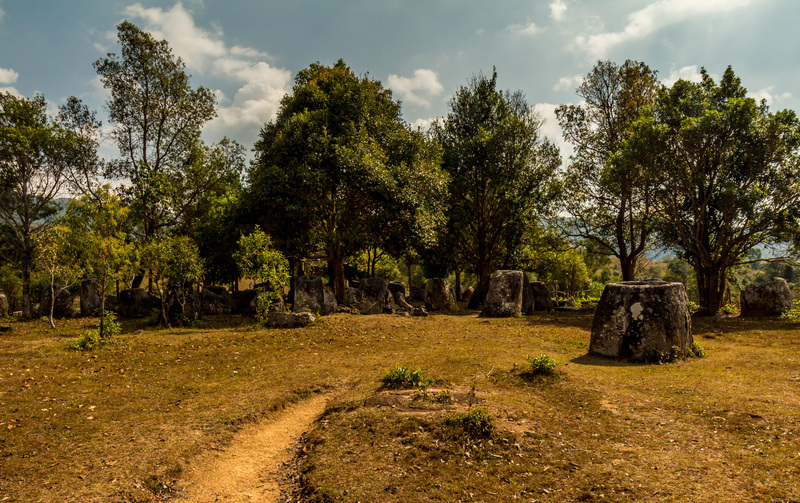 Plain of Jars site 1 was strategically important during the wars, and I could see why. 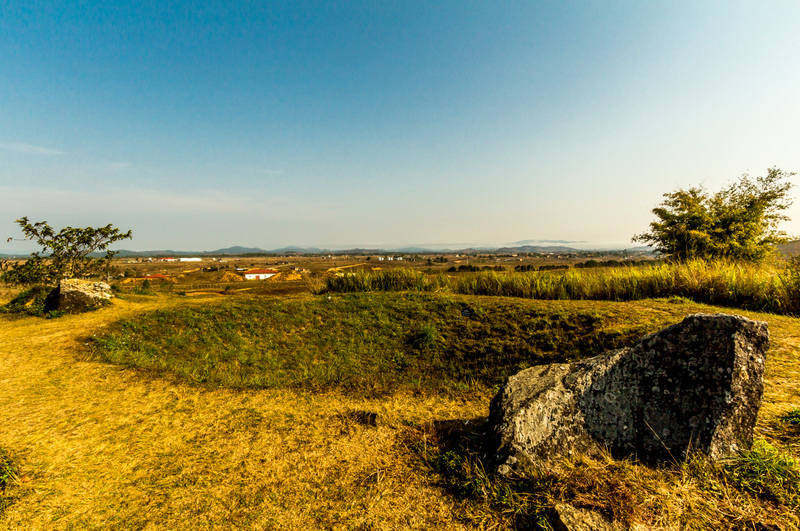 It was on a hill, with commanding views of the flat plain. 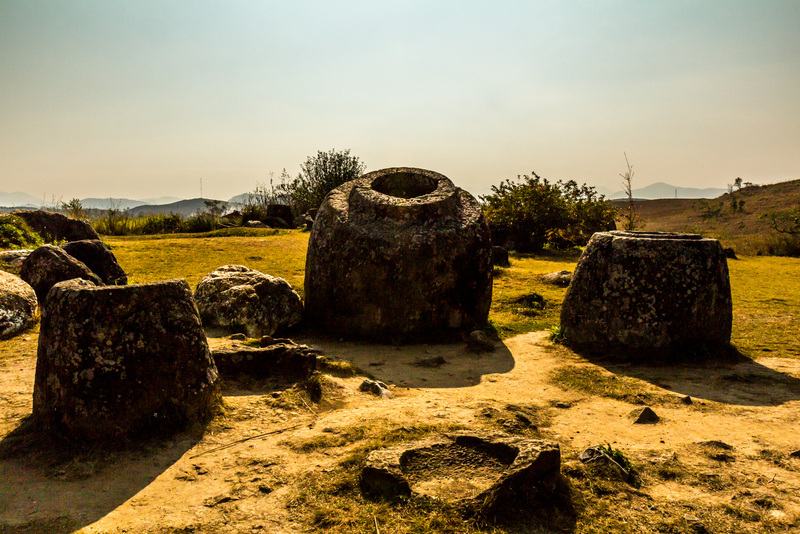 There were trenches and bomb craters among the stone jars. The main site has been cleared of bombs, but unexploded ordinance is still a huge problem in the area. The museum had an informative video on America’s secret nine year bombing campaign, and the effect it is still having today. My stomach felt queasy as I walked around the site. High on a hill a couple made an offering at a jar and a shaman sang. I rode to the second site, which is further in the countryside. 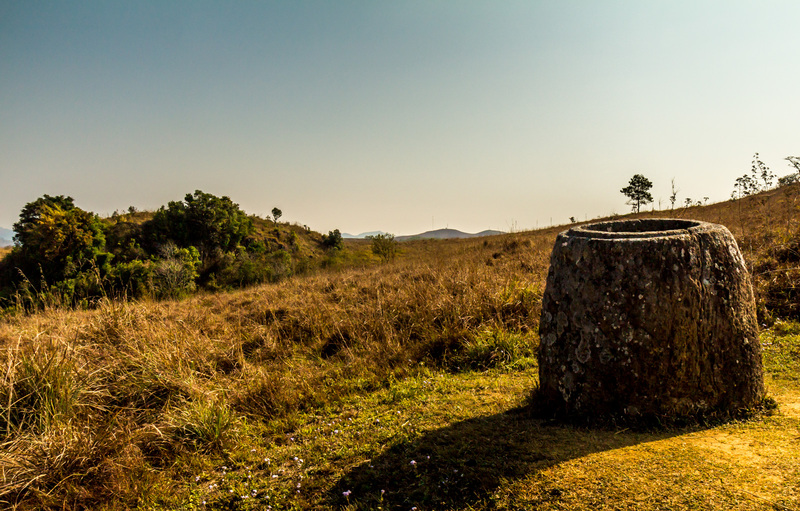 This site consisted of two clusters of jars on hills. There were nice views over the countryside, and of dirt road stretching into the distance. It would be fun to ride around on some of the roads. But I was still feeling ill. And weak. 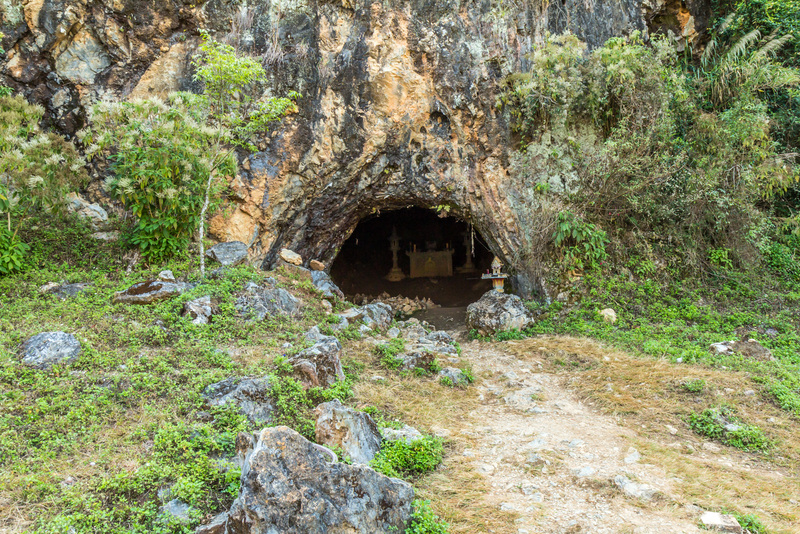 The cave at site 1 was a crematorium. I rode to the third site. I was tired and laid down in a hut at the entrance. I didn’t want to get up. I’ve gotten in the habit of always carrying my first aid kit, so I took my temperature. 101 degrees F. That explained the fatigue. After a brief rest, I pulled myself together. This site had a walk through scenic fields. Normally that is a fun bonus, but I could hardly walk up the slight incline. I had to keep stopping to rest. I limped up the hill, looked around at the small site, and limped back to my motorbike. The ride back to my guesthouse was long. In my room I slept for a couple hours until my fever went down. Lone jar on a hill. The second site was under shady trees. Jars were on top of a hill at the second site. The third site had a big cluster of jars. 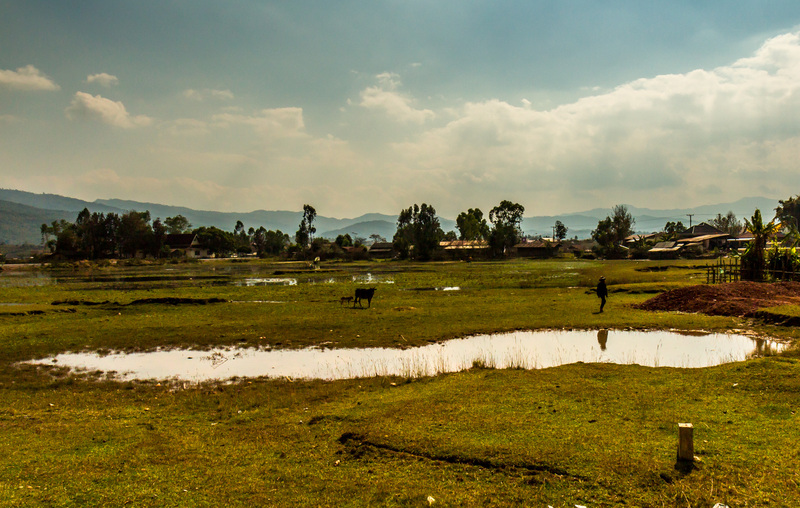 Traveling between the jar sites was a good way to see the countryside. « Vietnam To Laos Day 15: Up, Up, And Up! 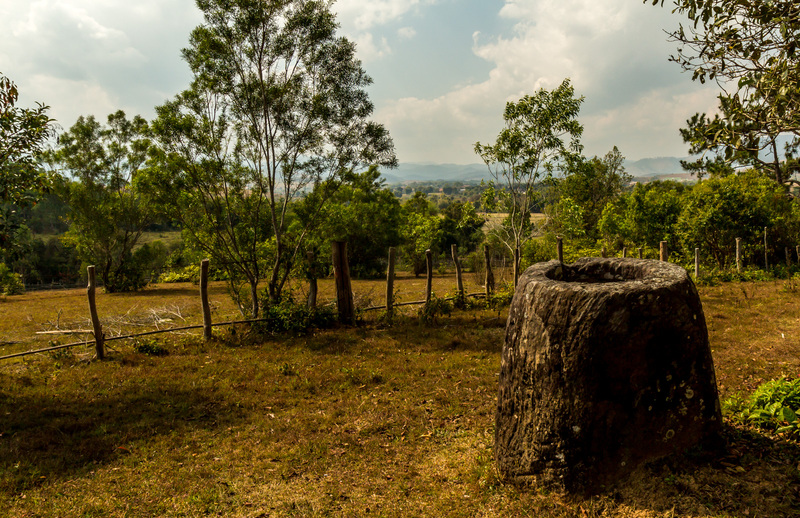 ← Vietnam To Laos Day 15: Up, Up, And Up! No fun to be sick when you’re on the road, I know that from experience. Glad you were able to rally and get some photos – I’ve always wanted to see the jars.